It’s no secret: It costs more to live in the big cities on both U.S. coasts. But it’s good to take a look at the numbers that actually back that up. In this case, that’s RPP – or regional price parity. The index sets the national average cost of goods and services at 100. An RPP of 122 in the New York metro area, for example, means the city and its suburbs are about 22% more expensive than the national average. On the other end of the scale, the RPP of 80 in Danville, Illinois places it among the least expensive metro areas. Europe was the leading destination for U.S. students studying aboard in 2017. 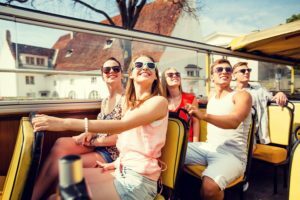 Oxford and Cambridge helped propel the United Kingdom to the top of the list, with a favorable climate and rich culture lifting Italy to second place. The number of workers with $1 million or more in their 401(k) increased to 157,000 at the end of the first quarter this year, an increase of 45 percent compared with the same time a year earlier, according to Fidelity Investments, one of the country’s largest administrators of workplace retirement accounts. 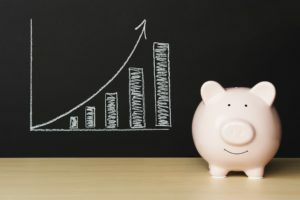 Workers can now contribute up to $18,500 each year to a workplace plan such as a 401(k) or the federal government’s Thrift Savings Plan (TSP). If you’re over 50, there’s a catch-up provision that allows you to contribute up to $24,000 to an employer-sponsored retirement plan. Fidelity’s analysis of first quarter data also found the following. Workers who have saved in their company’s 401(k) for 10 years had a record high average account balance of $290,100, compared with $250,500 a year ago. Those employees who have saved for 15 years had an average balance of $379,600, up from $330,200 a year ago. In 2017, there were more than 533,000 apprentices participating in nearly 22,500 apprenticeship programs. Most of today’s college students view having suc­cess in the workplace, earning a decent salary, and having a fulfilling career as key reasons for pursu­ing higher education. This sentiment is echoed by gov­ernors, state legislators, and higher education leaders who are looking at the labor market success of gradu­ates to evaluate how well postsecondary institutions are preparing students to join the workforce and contrib­ute to the economy. However, there is a growing belief that colleges are not adequately preparing students for the jobs and careers needed in the 21st century and that a substantial gap exists between the training and education America’s college graduates receive and the skills today’s labor market demands. Of the many options being actively discussed to bridge the divide, apprenticeship programs are attract­ing widespread bipartisan support. Apprenticeships are often considered the “gold standard” of workforce edu­cation. They are formal training programs during which successful applicants are paid while being trained on the job by experienced workers or mentors. Acquiring new skills in the workplace is accompanied by related train­ing, typically provided by an educational institution such as a community college or a trade organization such as a union. In the past two years of his adminis­tration, President Barack Obama made apprenticeships a priority, directing well over $250 million to support apprenticeship programs. In 2017, President Trump signed an executive order to increase federal funding from $90 million per year to $200 million. Public two-year community colleges are already central to the nation’s career and technical education system, granting hundreds of thousands of occupa­tionally oriented certificates and technically focused associate degrees. Many community college leaders have welcomed the administration’s call for appren­ticeship programs, and some have already shown themselves adept at working with the Department of Labor’s registered apprenticeship programs. But the overwhelming majority of community colleges have a ways to go before they can meaningfully contribute to the number of apprenticeships that so many poli­ticians and analysts argue the nation needs. In this report we explore how community col­leges could play a more active role in growing the number of apprenticeships nationwide, a role that would contribute to resolving the current mismatch between what postsecondary institutions produce and what employers need. 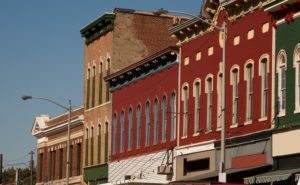 Rural communities will be on display in October during a weeklong inaugural celebration by the Indiana Office of Community and Rural Affairs (OCRA) called Downtown Development Week. The celebration of cities and towns across Indiana will be October 8-12. During the week, Lt. Governor Suzanne Crouch will visit communities, determined in part by a photo contest going on now until July 8. This week will be an opportunity for communities across the state to host events to celebrate their communities and encourage comradery through events and activities. Downtown Development Week, which will run from Oct. 8 – 12, 2018, will honor Indiana’s cities and towns’ commitment to preserve and invest in the heart of the community, the downtown. To generate excitement for Downtown Development Week, OCRA is planning a variety of events, including a statewide proclamation honoring Indiana downtowns, free placemaking workshops in Bargersville and Grant County and promoting community events across OCRA social media. Starting today, participants are encouraged to submit photos in the “Bring the LG to My Community” contest by using #LGtomyDowntown on each entry. These photos should capture the spirit and uniqueness of your community and downtown. Also, tell us why Lt. Gov. Crouch should visit your community. Crouch may visit your town during Downtown Development Week, if you are chosen as a winner. Photos must be submitted by midnight on July 8, 2018 to be eligible. To view more information, including complete contest rules, on Downtown Development Week, visit www.in.gov/ocra/2896.htm. 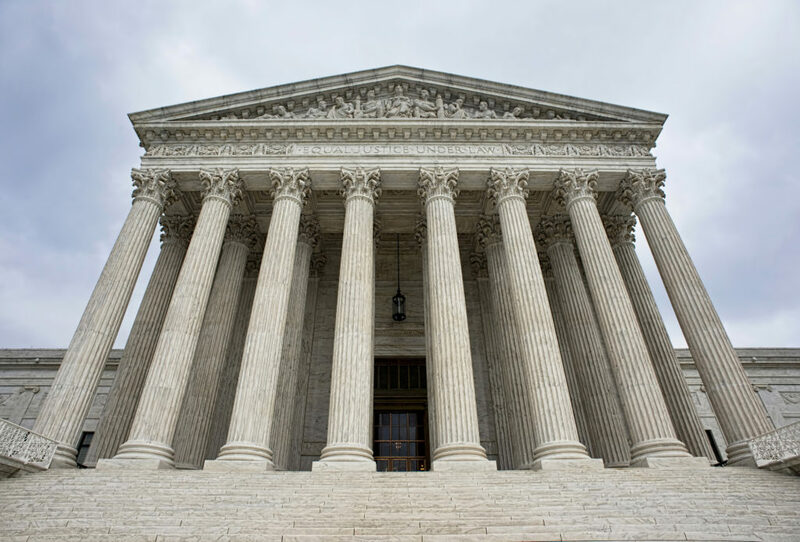 The U.S. Supreme Court decision issued yesterday in South Dakota v. Wayfair has been awaited by many brick-and-mortar retailers and state budget-makers for over 25 years. In a nutshell, the Supreme Court’s decision (5-4) will permit states to move forward with sales tax collection from online retailers. The Court overturned the Quill v. North Dakota decision (and Bellas Hess on which Quill was based) dealing with sales tax on mail orders – dating back to 1992, well before the internet boom. The Court found those old decisions to be “unsound and incorrect” and deemed them to be “an extraordinary imposition by the judiciary on states’ authority to collect taxes and perform critical public functions.” The old cases found that requiring the collection of sales tax, when the seller has no physical presence in the state, an undue burden on interstate commerce – a constitutional issue. 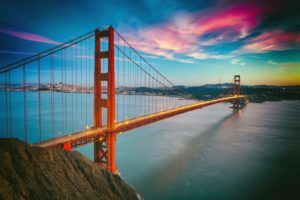 The “physical presence” test effectively prohibited states from requiring an out-of-state business to collect sales tax from its customers. But now the Court has stated that it “can no longer support the prohibition of a valid exercise of states’ sovereign power”. To put it simply, times have changed. There is readily available software that online retailers can utilize to set up the sales tax collection; it’s no longer a big deal. Separately, the online retail market has become so huge in the last two-plus decades as consumer shopping preferences have shifted; that’s made it all the more imperative that the segment be on a level playing field tax-wise with brick-and-mortar stores. The Court also addressed the widely-held notion that this issue needed to be resolved by Congress. The Court responded to that saying, “It is inconsistent with this Court’s proper role to ask Congress to address a false constitutional premise of this Court’s own creation.” In other words, the Court created this dilemma, if you will, with the Quill case and determined it needed to be the one to then provide a remedy. The new ruling essentially upholds the South Dakota statute that allowed the state to require online sellers to collect sales tax if they deliver over $100,000 in goods into the state, or have over 200 separate transactions with customers in the state. (Technically, the case was remanded to the South Dakota Supreme Court to issue a new determination without the Quill case serving as a controlling precedent.) 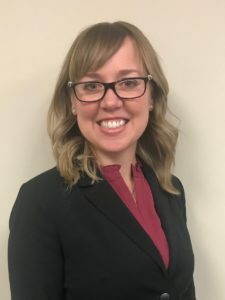 The Court found that the requirement under other precedent – that the seller have legal nexus in the state – was clearly met by the sales thresholds of the South Dakota Act. The Indiana Chamber has been a long-time advocate for online sales tax collection; it is one of the key goals in our Indiana Vision 2025 plan. State lawmakers, led by former Sen. Luke Kenley, were also attuned to these issues and quite wisely enacted legislation in 2017 that was modeled after the South Dakota statute. In fact, our law is essentially identical. This means that with a law that the U.S. Supreme Court has now found legally sufficient, Indiana is poised to begin requiring online sellers to collect and remit Indiana sales tax from their Indiana customers. Again, this is directed at those online sellers who meet the $100,000 or 200 transaction thresholds outlined above. It is worth mentioning that Hoosiers are already legally obligated to pay the online sales tax when they file their state income tax returns, but as a practical matter almost nobody does. Uncollected sales tax from online transactions has resulted in substantial loss of revenue to states, thus increasing the tax burden on those who do pay the taxes they owe. 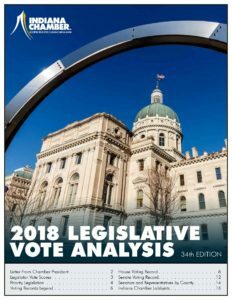 Estimates place the uncollected tax for the state of Indiana at more than $100 million annually, perhaps as high as $200 million. That number has grown exponentially with the popularity of online shopping and is only going to keep rising. So here’s to the U.S. Supreme Court for rectifying this long-standing problem, leveling the playing field between businesses and placing the sales tax burden evenly. 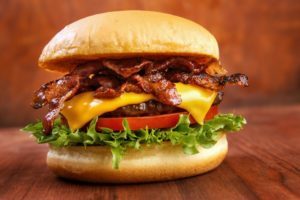 What is going on in the world of fast casual dining? Earlier this week, IHOP (the chain breakfast eatery), announced a new marketing campaign, teasing the week before by announcing it was temporarily changing its name to IHOB. The big reveal was that the “B” stands for … burgers. Well, that’s not where I thought it was going (bacon, breakfast, blueberries; there are lots of other “b” words that go along with breakfast foods). Of course, that’s not the point. The company is trying to branch out into its other non-breakfast fare, hence the burgers. Who knows? Maybe they’ll be really good at burgers (or maybe they already are? I just usually get the pancakes, so I don’t know about the other menu items). What this has led to, at the very least, is an amazing combination of fast food marketing and hilarious social media teams. Take, for instance, Burger King. Or should we say, Pancake King. 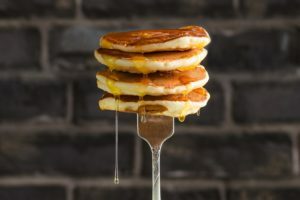 The burger and fries joint – I’m not forgetting about the chicken sandwiches – responded by taking advantage of the hullabaloo and changed its name on Twitter to Pancake King to remind the world that it offers pancakes for breakfast. Pancakes for burgers, burgers for pancakes. It’s a fast food Freaky Friday! Burger Pancake King was not the only brand to respond with some savagery on Twitter (As a public service announcement, check out Wendy’s social media work. It’s impressive). Whatever happens, the temporary name change for IHOP definitely put its name out there and got people talking. Whether or not the burgers are any good, it seems like the restaurant probably met its visibility goals. Meanwhile, I’ll just stick to the chocolate pancakes. You let me know if you try the burgers.